+ Materials and online properties that inform, educate, and inspire. Every day, new research gives us insights into best practices for risk communication, public involvement, and scientific communication. With more than 30 years of experience, I can help you choose the right approach to meet your goals, on schedule and within budget, equipping you to communicate environmental, safety, and health risks and other complex information with confidence. Contact me for a free consultation on how I can help you. According to the 2018 National Preparedness Report from the the U.S. Federal Emergency Management Agency, nearly half of the states and territories identified stakeholder engagement as a capability gap for operational coordination of emergencies. Food for thought. This article on Phys.org offers new insights into the role the news media play in relaying potential risk information about natural disasters like volcanic eruptions. Scientific American looks at the complexities of hurricane risk communication. 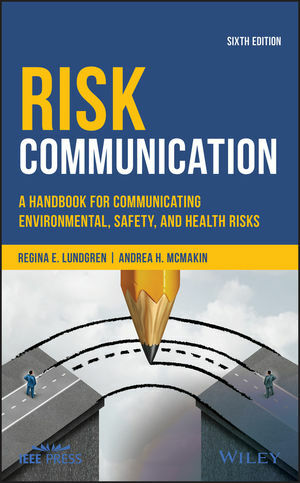 Based on nearly 30 years of experience in the nuclear industry, environmental sciences, public health, homeland security, and regulatory arena, my workshops train scientists, engineers, health care leaders, industrial hygienists, communicators, managers, and others to communicate effectively about complex scientific issues such as environmental, safety, and health risks. Planning, strategy development, material creation, stakeholder engagement--see how I can put my experience to work for you.